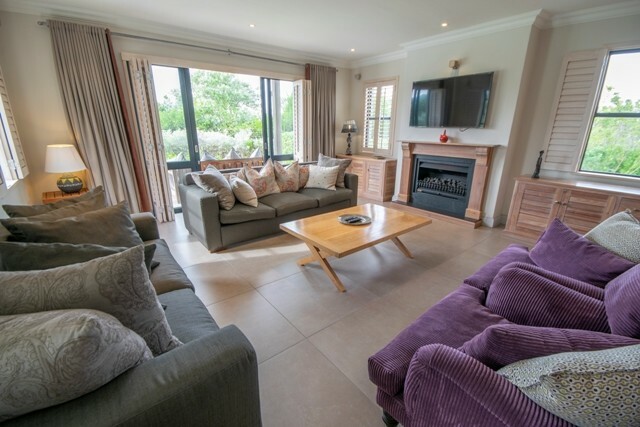 This spectacular home is an entertainerâ€™s heaven and is situated just outside Plettenberg Bay in The Meadows Estate. 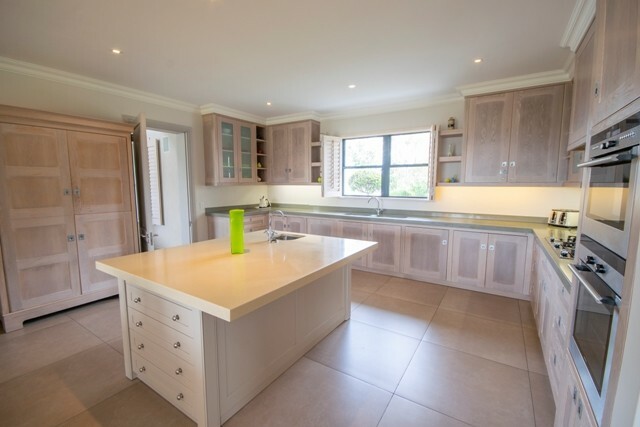 The open plan kitchen, dining room and bar open out onto the wooden deck in the garden with sunken pool & outside bench table. Just off the kitchen & bar is an enclosed barbeque area with a long bench table. This area also opens out onto the garden. The TV lounge is nothing short of comfortable with a gas fire place. The downstairs bedroom offers a double bed and full en-suite bathroom. Upstairs the master bedroom is finished with a four poster king bed & full en-suite bathroom with elevated oval stone bath in the center. The third bedroom offers 2 Â¾ beds put together to make a king bed. It also has an en-suite bathroom consisting of a shower, toilet and basin.The fourth bedroom has 2 single beds and a full en-suite bathroom. The fifth bedroom carries a king bed and full en-suite bathroom as well. The "batchelor" flat-let has a separate entrance. This "batchelor" flat-let consists of a bedroom with double bed and full en-suite bathroom, an open plan lounge and kitchenette area. The kitchenette is equipped with a gas stove with oven, toaster and kettle. A separate quaint two bedroom cottage at the bottom of the garden offers an open plan lounge, dining room and kitchen. The kitchen is equipped with a stove, oven, microwave, dishwasher and washing machine as well as a small fridge. This open area has direct access to the garden. Out on the patio is an outside bench table. Indoor Braai. The bedroom downstairs offers 2 single beds, with a separate bathroom consisting of a shower, toilet and basis. 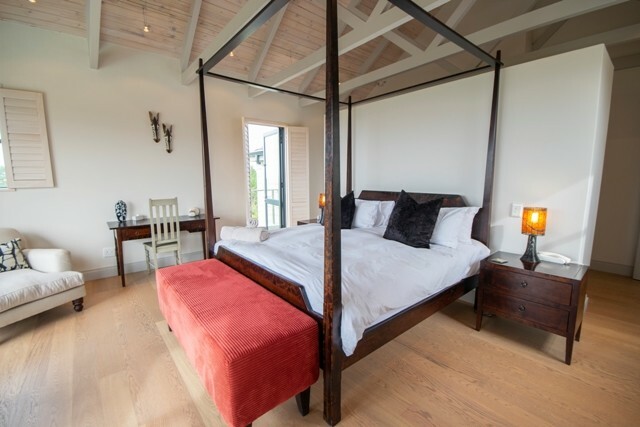 The loft bedroom consists of a double bed and full en-suite bathroom. Two sets of linen for all beds as well as bath and beach towels are provided. DSTV decoder and smart card are also provided.